Finally, the new body style for the Compass has arrived, and so have the accessories. Tackle all of the elements and keep your 2017*-2018 MP Compass clean with the new Mopar All-Weather Slush mats. 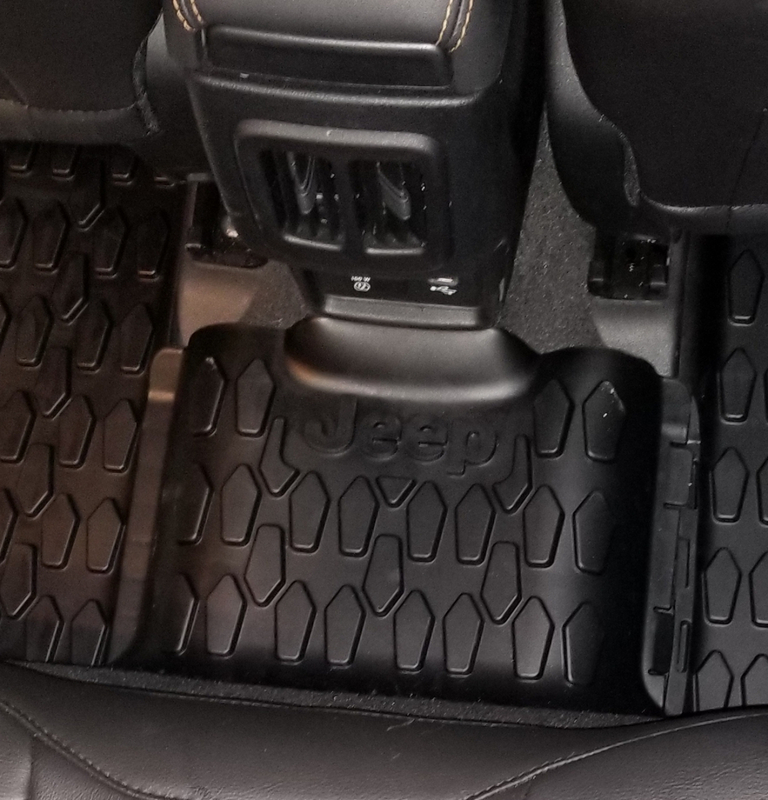 Mats are Black with Jeep logo. Slush Mat kit includes two front row mats and two interlocking second row mats. *2017-2018 New body style Compass models only, will not fit 2007-2017 original body style Compass models. The mats fit perfect and they are very durable. 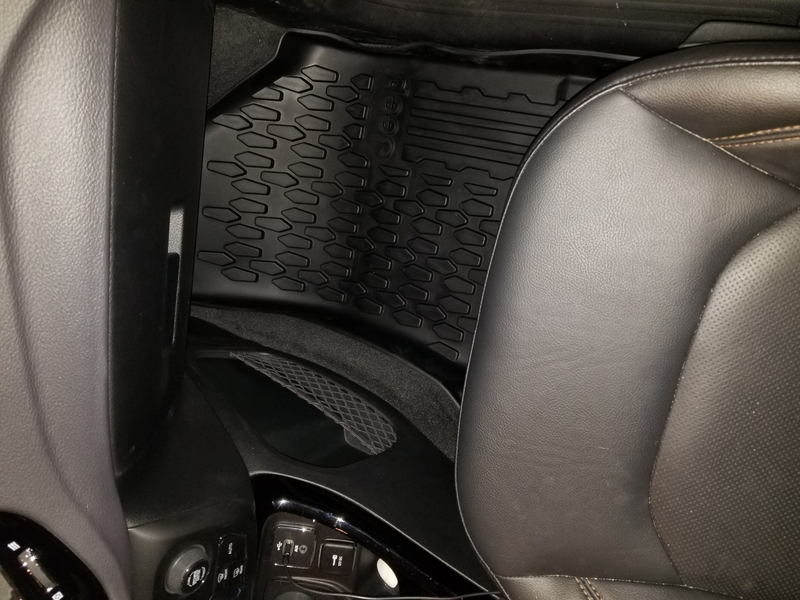 They are quality made and I love how they cradle the whole floor area (not a flat mat, there is about a 1 inch lip around the perimeter) perfect to protect my car flooring with the harsh winter slush!!!! Great looking Jeep logo mats. 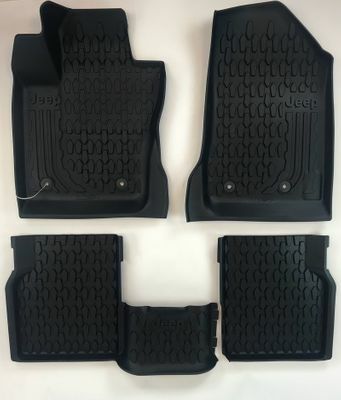 They're mopar mats that are sturdy, durable, and look good. Only complaint is that on the driver's side the area of coverage doesn't include under the gas pedal. Other mats [also much more expensive] that I was researching does in fact cover that area. After being told by the dealer that these mats weren�€™t available, I found them here! Got them in a short amount of time and they fit perfect! They look great ! ProsPerfect fit for the New Compass. Great molded pattern looks rugged. Good quality! Five starts on quality and fit! Arrived quickly perfect fit and adds to the interior look very nice. barn with dirty shoes and boots. We replaced the carpet floor mats with these. They are fantastic! ProsFit in vehicle is perfect. Heavy rubber, which I prefer over the Weathertech plastic. Fit my 2018 Compass perfectly!. Mats arrived as promised, fit as promised and do the job as promised. 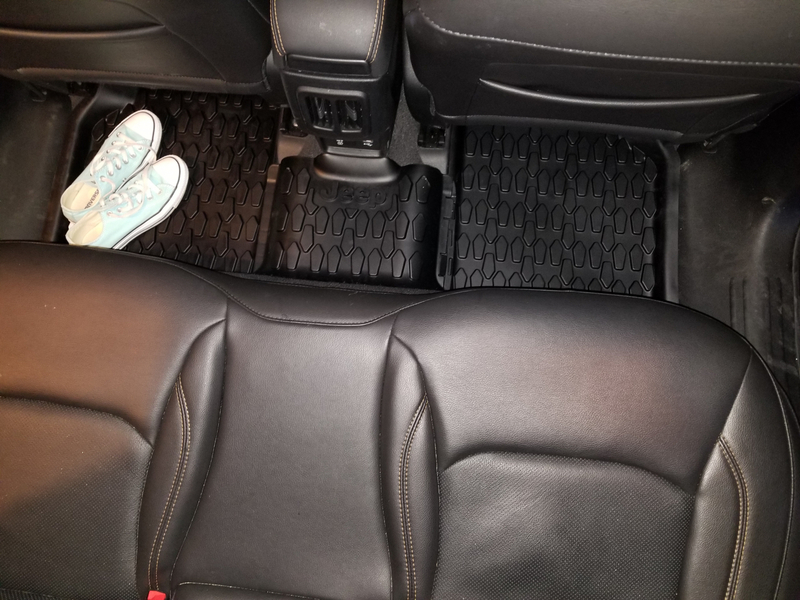 Perfect fit with the 2017 Jeep "New Compass", I was very pleased upon installing the mats in my Jeep, and would highly recommend them to someone on the fence about buying these, they're worth the money. Perfect fit. Perfect timing. Perfect product. ProsAll of them. Price, delivery, quality and durability.